We are approaching a milestone here at Off the Merry-Go-Round. We are nearly two years old! We founded this blog and community as a way to band together and offer support to parents everywhere who were scaling back their professional lives in favor of more quality family time and a healthier balance of work and family. It’s amazing how many of you have shared your stories, followed our blog, and commented on our articles. It is extremely rewarding to see the community grow! It’s also incredible to read about high-profile CEOs following suit and stepping off the merry-go-round of demanding careers. Earlier this month, I caught the story of Max Schireson on the Today show. As the CEO of a major software company, he announced he was stepping down and sliding into a lesser role with the company as vice chairman, in order to focus more on his family and home life. I am on pace to fly 300,000 miles this year, all the normal CEO travel plus commuting between Palo Alto and New York every 2-3 weeks. During that travel, I have missed a lot of family fun, perhaps more importantly, I was not with my kids when our puppy was hit by a car or when my son had (minor and successful, and of course unexpected) emergency surgery. Friends and colleagues often ask my wife how she balances her job and motherhood…. Somehow, the same people don’t ask me. A few months ago, I decided the only way to balance was by stepping back from my job. I recognize that by writing this I may be disqualifying myself from some future CEO role. Will that cost me tens of millions of dollars someday? Maybe. Life is about choices. Right now, I choose to spend more time with my family and am confident that I can continue to have an meaningful and rewarding work life while doing so. At first, it seemed like a hard choice, but the more I have sat with the choice the more certain I am that it is the right choice. Click here to read or watch the Today show’s coverage. Congratulations to Off the Merry-Go-Round, and to Max Schireson! 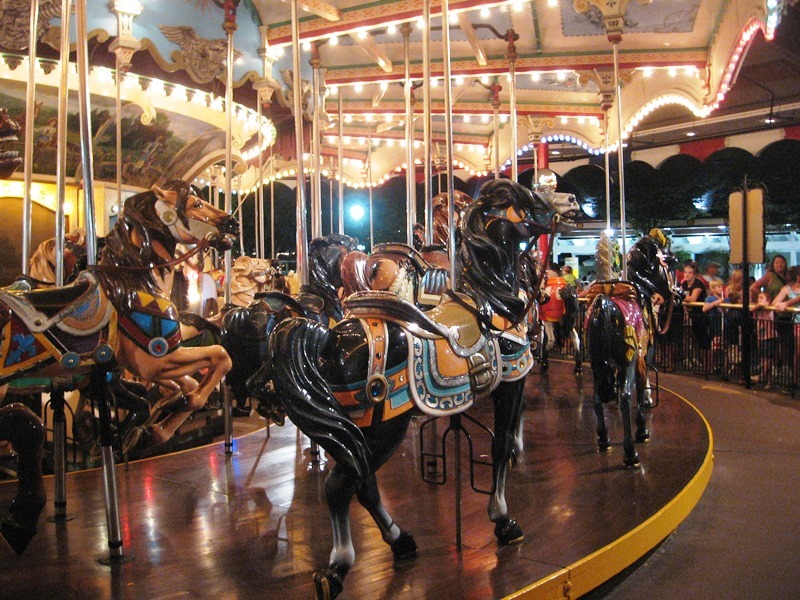 "Off the Merry-Go-Round" posts are copyrighted and cannot be used for any other purpose than private personal use without prior permission. Contact us via: OfftheMGR (at) gmail.com. Thanks a bunch!